"What should I do to backup my ISO files onto a DVD disc? I’ve tried several converters and backup tools, only to get errors and errors. Is there anything special I should handle? The ISO files are in DVD-9 format. What kind of program should I use?" This guide would show you a practical ISO to DVD burner and detailed steps on how to burn ISO file to DVD-9 disc on Mac and PC. ISO image file is the image of an entire CD, DVD or Blu-ray disc. 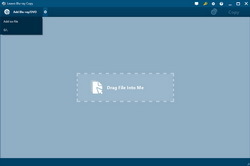 That means a single ISO file contains all content of a Blu-ray, CD or DVD disc. Therefore, you can create ISO image from optical disc, and burn ISO file to DVD, Blu-ray or CD discs. 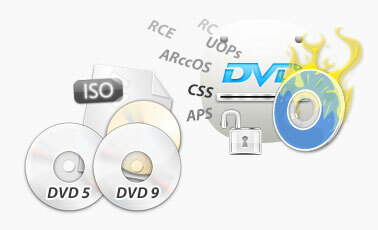 To backup ISO file to DVD-9 or DVD-5 disc, an ISO DVD burner tool is needed. Find a proper backup program and make sure you’re allowed to backup your source ISO files, which means the ISO files are not encrypted. Leawo DVD Copy helps you burn ISO file to DVD-9 discs or DVD-5 discs freely in only 3 simple clicks.If you get DVD+RW or DVD-RW discs, Leawo DVD Copy could even help you clean target writable DVD discs and then burn ISO file to DVD-9 or DVD-5 disc with ease. Meanwhile, since you’re going to burn ISO file to DVD-9 disc, it’s for sure you need to get source ISO image file and a DVD-9 disc (blank writable DVD-R or DVD+R, or DVD+RW/DVD-RW disc). Besides these, you need to get a computer that has DVD recorder drive installed, so you could insert target DVD-9 disc into the drive. 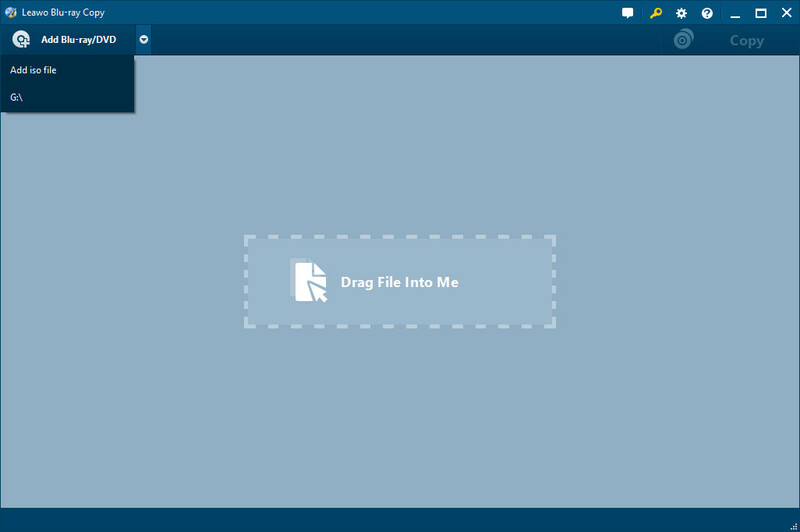 Download and install Leawo ISO DVD Burner (officially known as Blu-ray Copy) on your computer. Windows PC that runs on Windows Vista, XP, 7, 8 or 8.1 (Mac users should run Mac OS X 10.6 or newer), with DVD recorder drive installed. A DVD-9 or DVD-5 disc (blank writable DVD-R/DVD+R, or DVD-RW/DVD+RW disc) according to your needs. It should be noted that, generally speaking, due to the storage size, DVD-9 ISO image file could only be burned to DVD-9 disc, while DVD-5 ISO image file could be put onto both DVD-9 and DVD-5 discs. If your DVD-9 ISO image file occupies less than 4.7GB, you could also put DVD-9 ISO file onto DVD-5 disc. The only difference between DVD-9 and DVD-5 is storage size. Below is a detailed guide on how to burn ISO file to DVD-9/DVD-5 disc on Windows. If you’re using a Mac computer, just download the Leawo DVD Copy for Mac. The Windows and Mac versions are similar in interface and workflow. After launching Leawo Blu-ray Copy software on your PC, click the inverted triangle drop-down button next to the "Add Blu-ray/DVD" button and then select "Add iso file" option on the drop-down list. Insert blank writable DVD-9 or DVD-5 disc into the DVD recorder drive. An "Add iso file" window pops up then and ask you to manually complete "Copy to" option (the disc you have inserted to the disc drive) and "Disc Label" settings. The "Copy to" option would select DVD recorder drive as output automatically. After the backup settings, click the "Burn" button on the "Add iso file" window. This ISO DVD burner software would then immediately start ISO file to DVD-9/DVD-5 disc backup process.